Simplify precast and mini gel imaging with the UVP GelTower! This small imager is perfect for small gels - image any precast or mini gels up to 11.5 x 16cm. Simply place the gel on the transillumination plate and capture brilliant color images. The streamlined software interface guides you through the image capture process with automated pre-set capture buttons. Or, have the option to define settings for quick, personalized image capture.  Gel analysis is made easy with the user-friendly software. This small imager is truly plug and play, requiring no training. Main photo shows the UVP GelTower with Visi-Blue Plate. 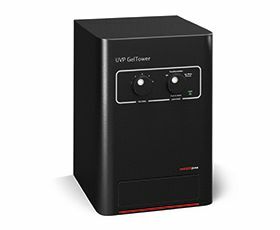 Click the Video tab below to see how easy it is to use the UVP GelTower! Black Sample Plate is included with the UVP GelTower for placement of samples not requiring transillumination lighting. The control panel enables easy selection of emission filters and lighting. The emission filter selector controls the five-position filter tray, located on the side of the darkroom, which includes an ethidium bromide filter. Add additional filters as required for other types of stains. The lighting selector controls choice of epi white light or transillumination lighting. A safety switch automatically shuts the transillumination lighting off when the transilluminator is opened or after ten minutes. The software interface features pre-set, one-touch preview and capture buttons to simplify image acquisition. The capture buttons control the camera and lighting settings. Or, define and save specific settings as templates which can easily be accessed for repeat experiments. Images are publication-ready and highly quantifiable -- images are crisp, clear and ready for analysis. Easily perform image enhancements and 1D analysis with the Doc-It®LS software. Calibrate using Molecular Weight (MW) standards from the software library or add your own standards. Create, document and print detailed and customizable reports of analysis data. Dimensions 19.4H x 12.9W x 13.3D in. * System configurations may vary by country. Contact UVP or authorized distributor for details. Emission Filters: Additional emission filters are available to support a wide array of applications. Contact UVP for filter options to meet specific requirements. Computer and monitor: Optional. Contact UVP for ordering information and specifications. Thermal Printer - Print archive quality prints in seconds. open as new window. *System configurations may vary by country. Contact a BioImaging Specialist or authorized distributor for system details.